I’m 27 years old. I was born in Los Angeles, California, but raised in Duplin county. I am an ECU graduate and by default, a proud pirate. I recently made the big move back to Greenville when I took a recruiting position at Roebuck. I love God, love helping people, reading, writing, and spending time with loved ones. I was working in Treasury Management for Southern Bank & Trust Company. Food: It’s so hard!! Italian is among the top 5! I love getting up in the morning and knowing that I can make a small difference in someone’s life. Even when some of the positions are temporary, it feels awesome to know that you may have helped someone who was in a rut, and just needed a little push in the right direction. Extremely important. A resume showcases who you are, what you have to offer, how well you pay attention and how much you want a job. I look for someone who is honest with who they are, and with the weaknesses and strengths they possess. I look for people who are confident, reliable, and hard working. Skills are a plus, but I think that what makes a person stick out among the rest are the (not so) small details. Are they on time? Are they honest? Do they show up? Do they complain? There is no bigger turn off for a recruiter than the candidate who calls every day looking for a job, but fails to show up when you place him in one. Do your homework. Find out all you can about the company that is hiring and what their requirements are and take heed of them. People would be surprised at how many interviews take place in which the candidate doesn’t possess the skills or experience the position requires. Dress the part. Not everyone can afford expensive suits or fancy clothes, but they can come muster an outfit that is clean, ironed, and that fits. Arrive at least ten to fifteen minutes early. It shows the recruiter that you’re serious and that you can be trusted with a position. I also suggest for candidates to be honest. There is no bigger warning sign to me than when I interview a candidate who talks incessantly about their imaginary skills or experience. Confidently share your strengths and weaknesses. No one knows everything and it’s easier to teach someone who recognizes they don’t know than teaching a person who believes they know it all. 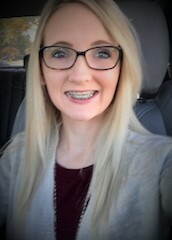 My Name is Kaitlynn Jenkins, I am a native of New Bern, NC while moving around for the past 4 years, I have moved back to my home town with my husband, daughter and 2 dogs. While not working, you can find me spending time with our families, monogramming every shirt my daughter owns, or at the nearest beach. I worked as a front desk supervisor for an Eye Doctor, then as an Administrative Assistant for a local farmer in Elizabeth City. Helping people succeed and excel in their careers. Your Resume is a first impression for an employer. It is important to take your time and have the most accurate information to help secure you an interview. Think of different times where you have succeeded and not succeeded, and steps you took to reach a goal and steps you took to get better at it the next time.